Since we’ll be managing this area next year we thought we’d camp and explore it. 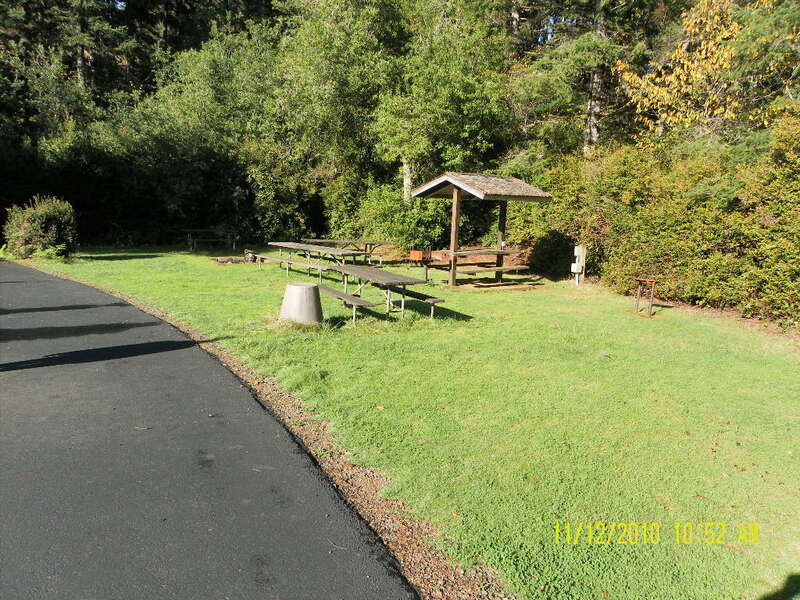 Sutton Campground is located about 4 miles north of Florence and accessible via Hwy 101. Campsites are nestled in dense, lush growth typical of coastal Oregon. 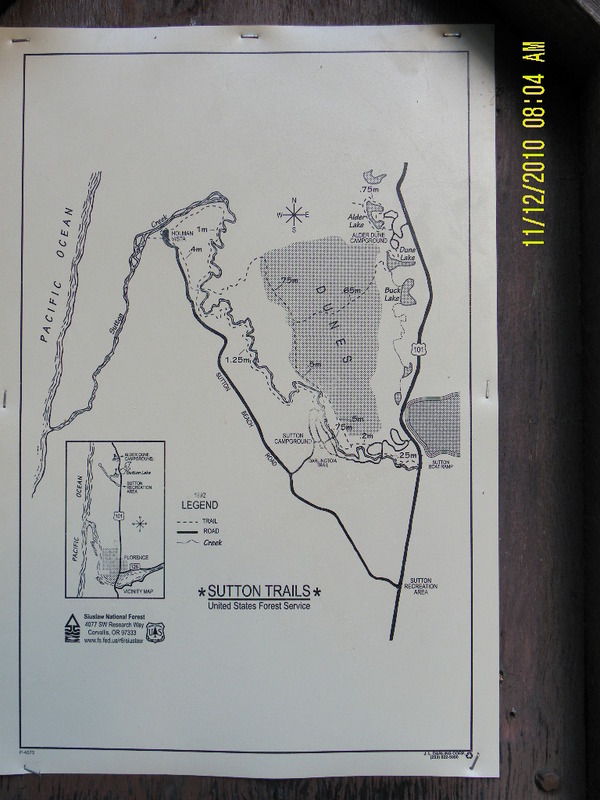 Some sites, in loops A and B, overlook Sutton Creek. Most sites have a feeling of privacy due to the dense forest. Loops A , B and D have sites with electricty. 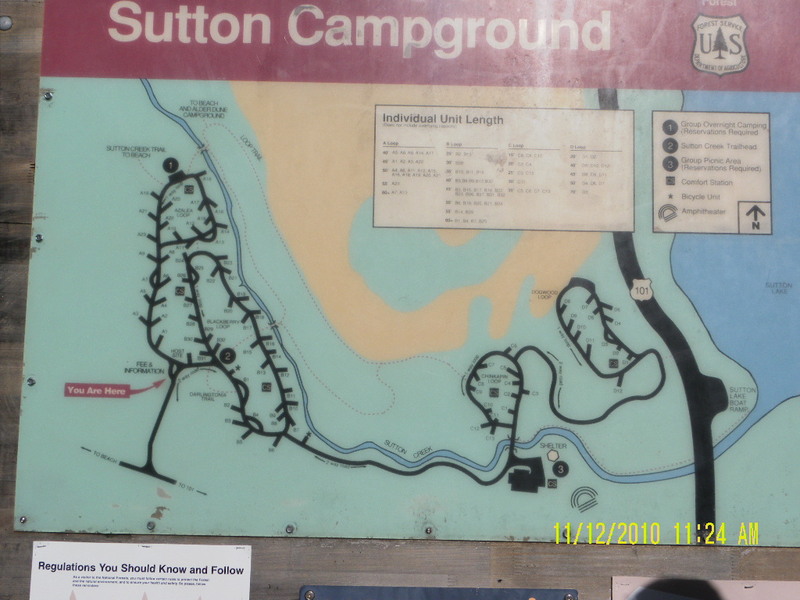 Although you access the campground via the Sutton Beach Rd, there is no easy access to the beach. 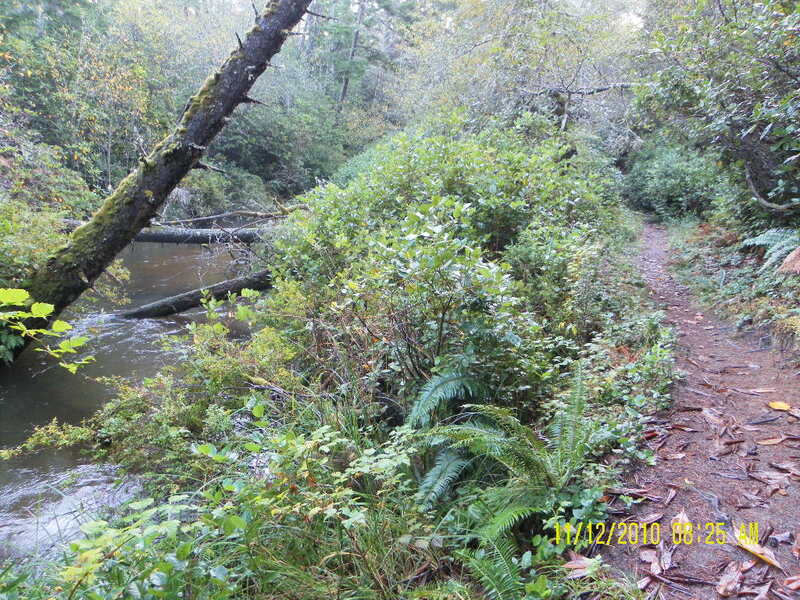 Sutton Creek Trail is a system that provides easy to moderate hiking for 2 – 6 miles. There are some level areas and some rolling hills. 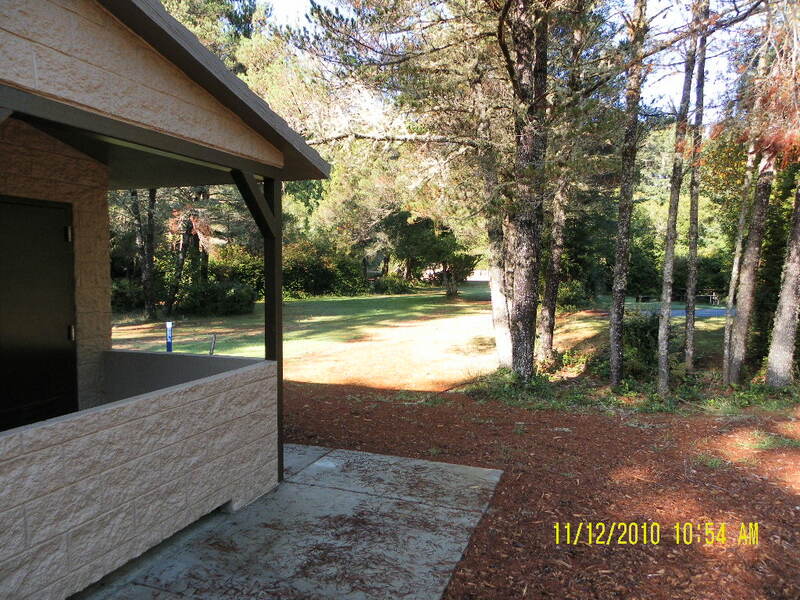 Views include Sutton Creek, dunes, Alder Lake, Dune Lake, Buck Lake, Sutton Lake, Holman Vista and Darlingtonia Trail. Loop C is for tent camping and has about 11 sites. Loop D is reserveable for groups and contains 11 sites with a common picnic area that has electricity. 2 other campsites in this group have electricity at the site. These loops are not recommended for trailers or large RVs. A couple restrooms in Loops C and D look pretty new. Maybe they upgraded them last summer? The sun was shining this morning, and I hadn’t been for a walk in a while, so I decided to walk the trail towards the beach. It’s 1.25 miles to the beach. That doesn’t sound too bad. As I started thinking about the Hosts telling us about the black bears that live in the area, I tried my whistling skills. hahaha – I’ve had no whistling skills since I was 10 when my braces took them away. Then I started getting tired and realized how long it had been since I’d exercised regularly. Maybe I should have had breakfast first? Maybe I should have brought the cell phone? I wonder if the walk back would be shorter if I took the road instead of the trail? I thought I remembered going to Holman Vista last year and being disappointed by not being able to even see the ocean. Then the trail came close to the road. I kept thinking, “I’m almost there. I should just keep going.” Nope, my legs are too tired. So I walked back on Sutton Beach Road and Don was waiting for me at the campsite. It is a pretty trail. I wonder if kids play in the creek in the summer? We drove down to Holman Vista and walked out on the boardwalk to the view point. It is pretty also but the dunes block your view of the ocean. I like seeing the ocean. We saw foot tracks over the dunes so I’m sure you can get to the ocean from there. Even though the campground is over a mile away, we could hear the waves when we laid in bed last night.